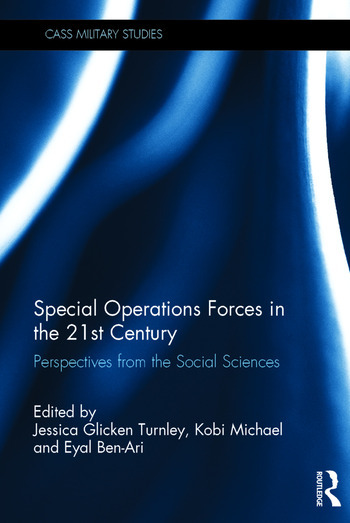 This book sets out the major social scientific approaches to the study of Special Operations Forces. Despite consistent downsizing, over the past two decades the armed forces of the industrial democracies have seen a huge growth in Special Operations Forces (SOF). Through increasing numbers of personnel and more frequent deployments, SOF units have wielded considerable influence in conflicts around the world, with senior SOF officers having led major strategic operations. This increased presence and unprecedented expansion for SOF is largely a result of the ‘new’ kinds of conflicts that have emerged in the 21st century. At the same time, even with this high profile in the military, policy and media and popular cultural arenas, there is relatively little social scientific research on SOF. This volume aims to fill this gap by providing a series of studies and analyses of SOF across the globe, since the end of World War II. Analysing SOF at the micro, mezzo and macro levels provides broad and diverse insights. Moreover, the volume deals with new issues raised by the use of such forces that include emerging modes of civilian control, innovative organizational forms and the special psychological characteristics necessitated by SOF operatives. It concludes with a discussion of a question which continues to be debated in today’s militaries: what makes SOF ‘special’? Filling a clear gap in the literature, this book will be of much interest to students of strategic studies, civil-military relations, irregular warfare, security studies, and international relations. Jessica Glicken Turnley is President of Galisteo Consulting Group, Inc., and a Senior Fellow at the Joint Special Operations University (JSOU), US Special Operations Command. Kobi Michael is a senior researcher at the Institute for National Security Studies (INSS) Tel Aviv University, Israel. Eyal Ben-Ari is Director of the Kinneret Center for Society, Security and Peace, Kinneret College on the Sea of Galilee, Israel.